The Smithsonian Institution is an American treasure. 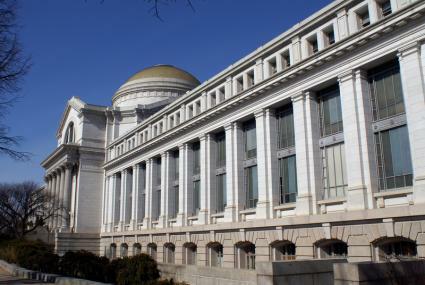 Founded in 1846 by a bequest from British scientist James Smithson, for whom the Institution is named, the Smithsonian consists of 19 museums as well as the National Zoo and seven research centers. Most of the museums are located in Washington D.C. on the National Mall between the Capitol Building and the Washington Monument. Admission is free. Ten Smithsonian Museums to Visit in D.C. The American Art Museum provides a uniquely American artistic perspective, highlighting more than 3,000 works created by American artists throughout history. The facility features works from the colonial period to present day in many different forms. In addition to paintings, folk art and photography, the museum's collection also includes sculptures and examples of decorative arts. The Lunder Conservation Center is housed at the facility. The museum's Kogod Courtyard provides free public Wi-Fi access. Arguably the most unique museum in the Smithsonian group, the National Museum of American History is dedicated to all facets of American history and culture. Opened in 1964, this collection of American icons includes such things as Julia Child's recreated kitchen, Fonzie's leather jacket, and the Inaugural gowns of America's First Ladies. It also houses the huge American flag that flew over Fort McHenry during the War of 1812, which inspired Francis Scott Key to write the Star Spangled Banner. The Natural History Museum is in impressive collection of exhibits curated to tell the story of the origins of the human population and the evolution of culture throughout history. The dinosaur exhibit is a visitor favorite, though it is only one component of the section focusing on ancient life and the animal kingdom. The museum showcases mammals, reptiles, sea creatures, birds and more from ancient times through modern day. The museum is also home to the Hope diamond display, along with many other examples of gems and minerals. One of the most popular attractions in Washington, this open and airy museum tells the story of American flight and space exploration The Smithsonian Air and Space Museum displays include Lindbergh's Spirit of St. Louis airplane, which he used for his historic flight across the Atlantic; the original Wright Brothers' plane, and the Apollo 11 command capsule. An IMAX theater and planetarium complement the exhibits. An extension to the museum, the Steven F. Udvar-Hazy Center, is located near Washington's Dulles Airport. It includes more planes and exhibits, including an Air France Concorde jet, the Enola Gay bomber, and a SR-71 Blackbird stealth reconnaissance aircraft. 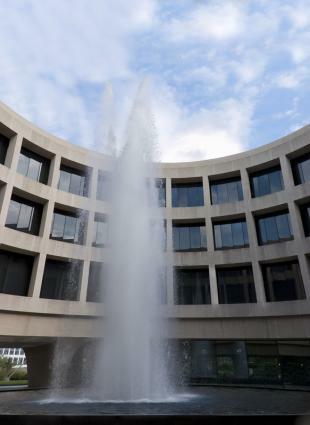 The Hirshorn Museum and Sculpture Garden facility consists of a unique, modern cylindrical building adjacent to an outdoor plaza and sculpture garden. The museum's collection focuses on contemporary art, with displayed pieces by modern masters as well as current-day emerging talents. The Sculpture Garden features well-known works by Rodin, Matisse and more. The Freer Gallery of Art, located on the south side of the National Mall, is dedicated to East Asian art. Popular attractions in the gallery include Chinese paintings, Korean ceramics, Japanese folding screens, and Persian manuscripts. The Peacock Room, once part of a late 19th Century London townhouse, was designed in a blue and gold motif by American artist James Whistler, and was installed in the museum after the owner's death. It's an excellent example of turn of the century Chinoiserie art. The National Museum of the American Indian is housed in a striking building crafted of cream-colored, Indiana limestone and tells the story of Native American people in North America. The exhibits are divided into different tribes and include artifacts and written and recorded testimonials. The collection includes Geronimo's rifle and a wall of gold objects. Changing temporary exhibits augment the permanent collection. The museum's cafe features food choices inspire by the Native-American culture. The National Museum of African Art focuses exclusively on artwork created on the continent of Africa. The collection features both original traditional African Art as well as contemporary works. The museum is home to The Walt Disney-Tishman African Art Collection, which was donated to the Smithsonian in 2005 by Walt Disney World Co., and is one of the main highlights of the museum's holdings. The National Portrait Gallery is a collection of portraits highlighting individuals who have played a significant role in the development of the United States of America, from pre-colonial times through current day. One of highlights of the museum is its portraits of all of the American presidents, from George Washington through the current President of the United States (POTUS). Other portraits feature historically significant poets, visionaries, activists and even villains. The National Postal Museum highlights the history of mail service in America, as well as stamp collecting as a hobby. Visitors will have a chance to see how mail delivery has evolved over time, starting with stage coaches and railway cars and including the Pony Express vintage mail airplanes all the way through modern-day freightliners. Exhibits also include rare stamps and historically significant stamps. There are a number of hands-on activities and interactive computer stations throughout the facility. Learn more about these facilities, and other Smithsonian Museums, at si.edu/Museums. If you're planning to go to one or more of the museums the next time you visit Washington, D.C., be sure to verify the hours of operation via the website for the specific properties you want to see. On the day of your visit, be sure to wear comfortable shoes and ensure that the batteries in your camera are fully charged so you can capture images of your visit.